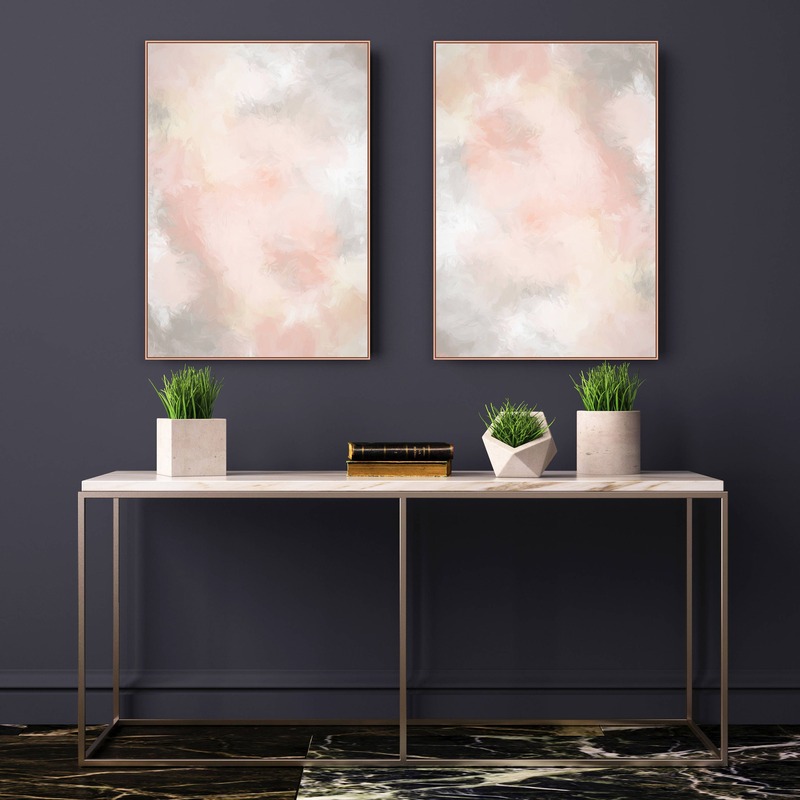 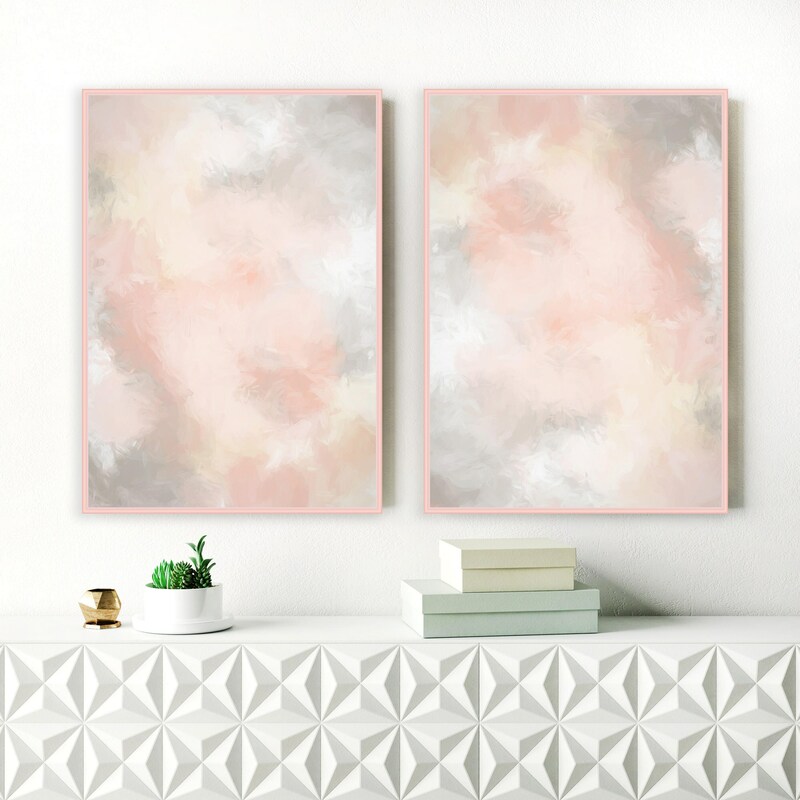 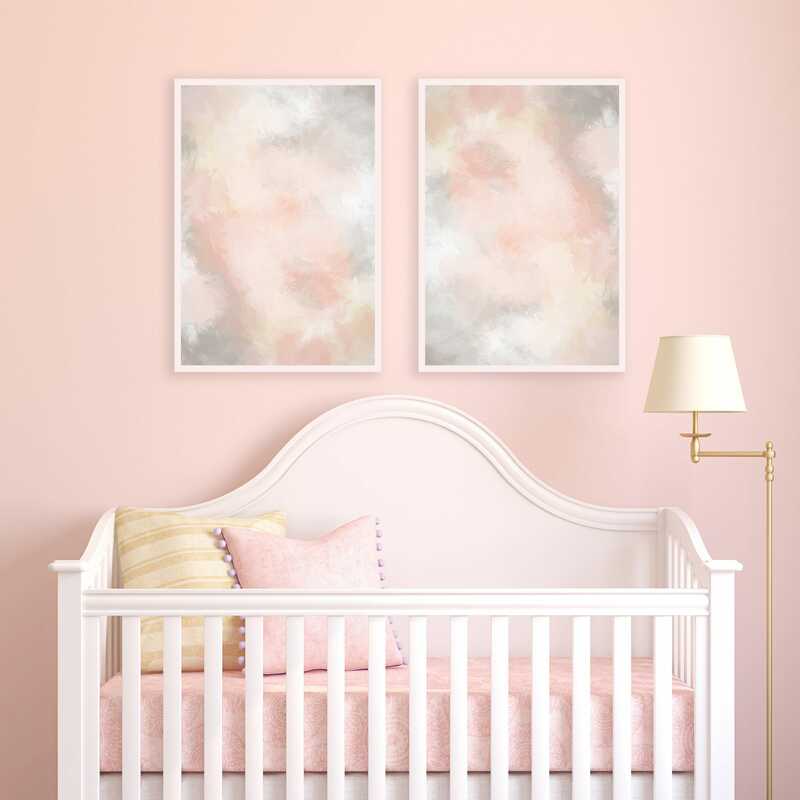 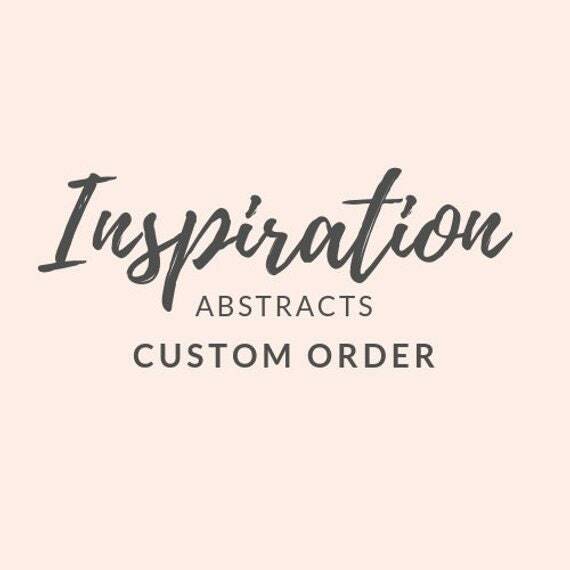 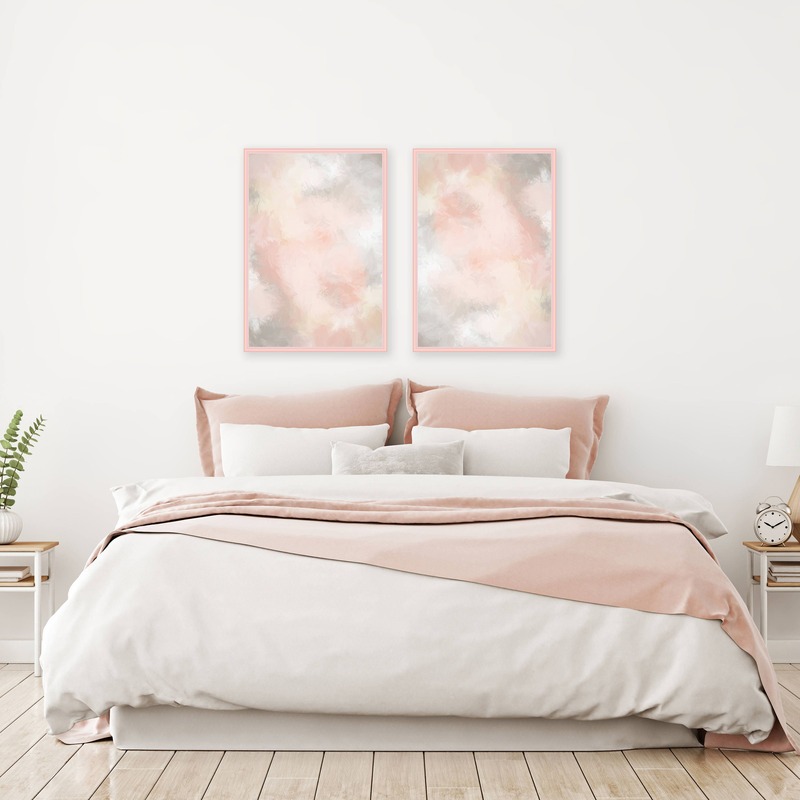 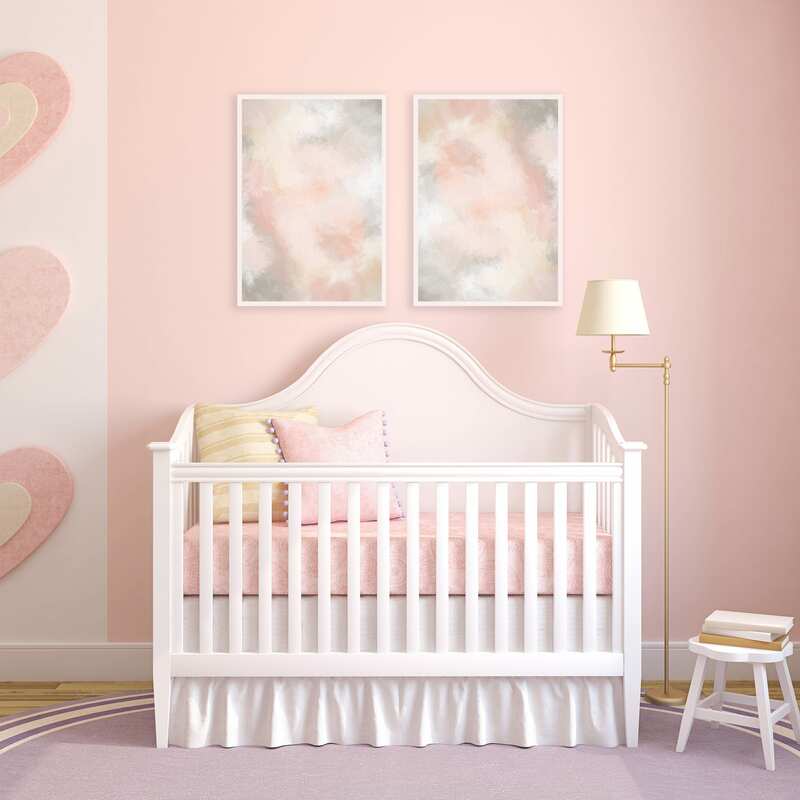 A set of 2 blush pink and grey abstract paintings. 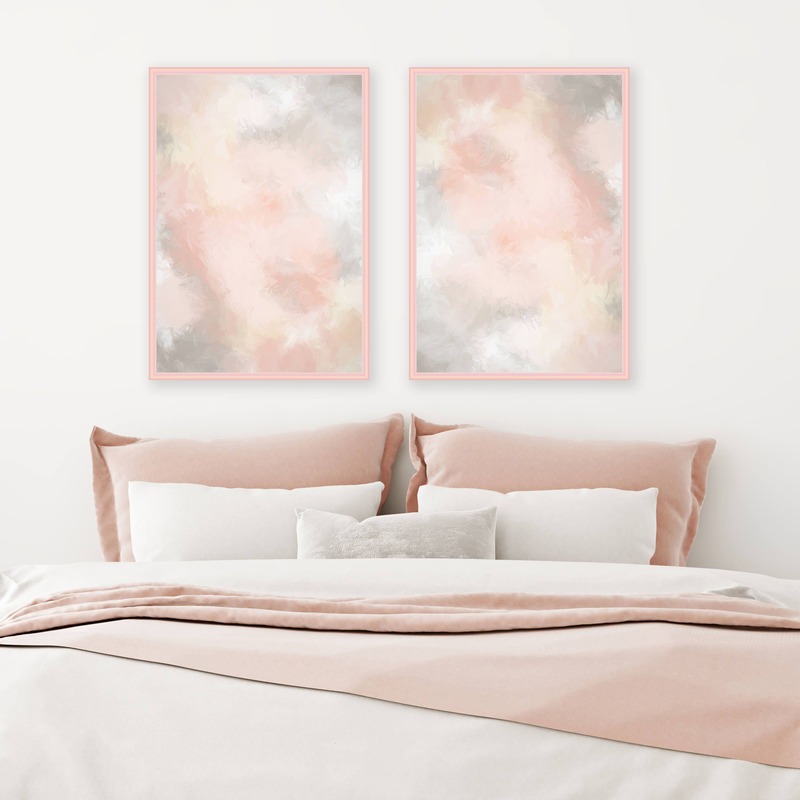 Perfect for your stylish home. 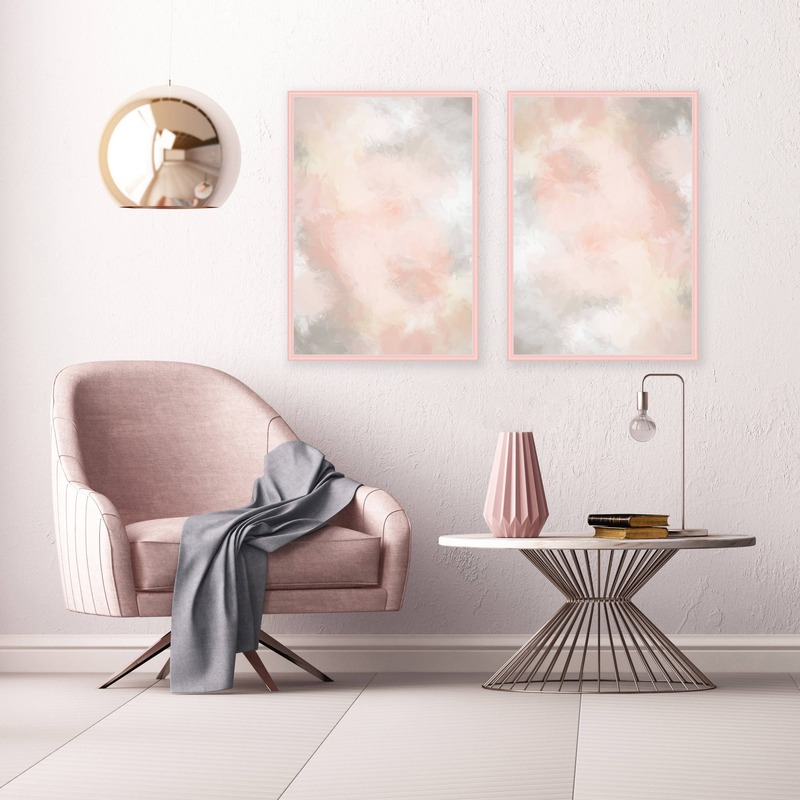 A museum quality Giclée print, watercolour texture, printed with the finest archival inks to ensure you will have quality prints which last a lifetime.